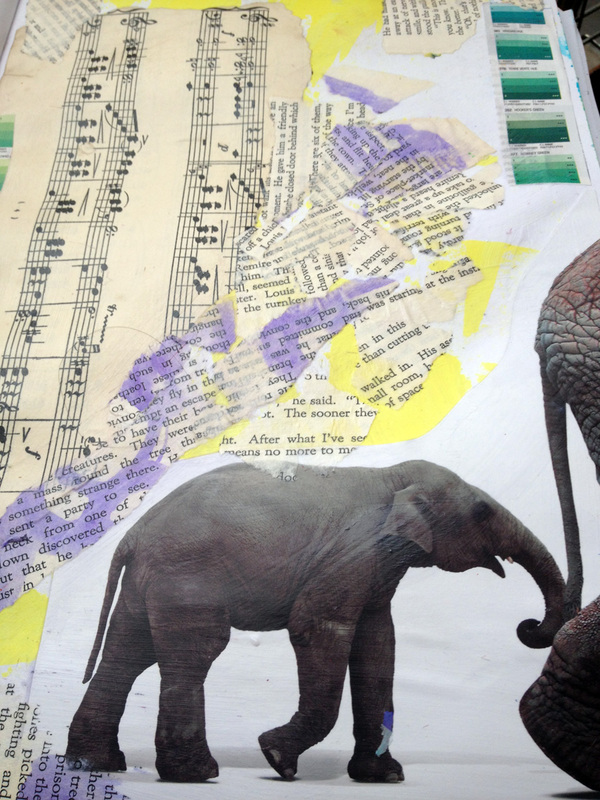 This week, and how it took shape, began with these elephants who dropped through my letterbox on a leaflet for the zoo. Amongst all the hoarded nonsense and clutter that accumulates our lives …. 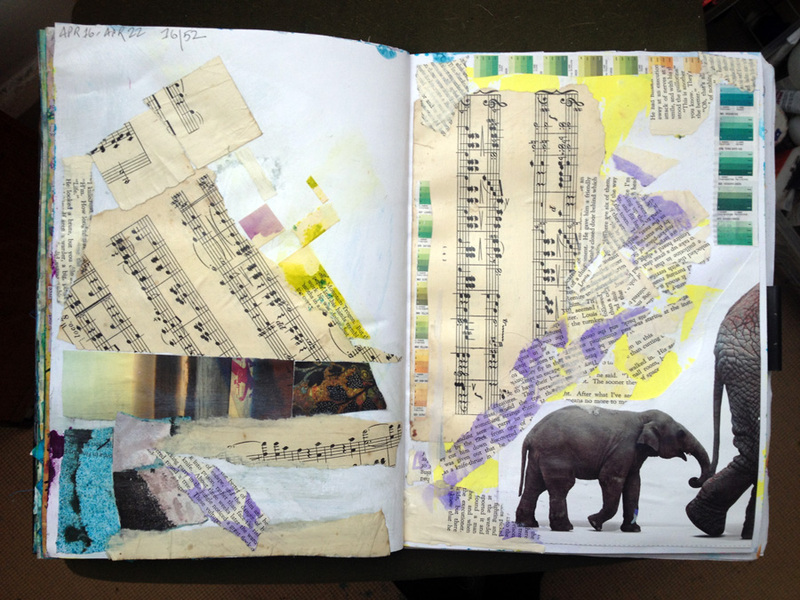 This week I found a box of old sheet music, and a bunch of books, all way too tatty and damaged to donate, but too much like art materials to discard. But….Y’know, unless its actually contaminated with something that can’t be cleaned off or can make me ill / kill me, it’s almost always got a future as art materials. And if it’s paper, it’s collagable. The elephants’ environment mainly consists the scraps on my table leftover from another little doing I’m working on in parallel. I’ll show you how that’s coming on soon. I like how fate and synchronicity get to choose the ingredients sometimes. It lets me off the hook, and they usually do a fine job. 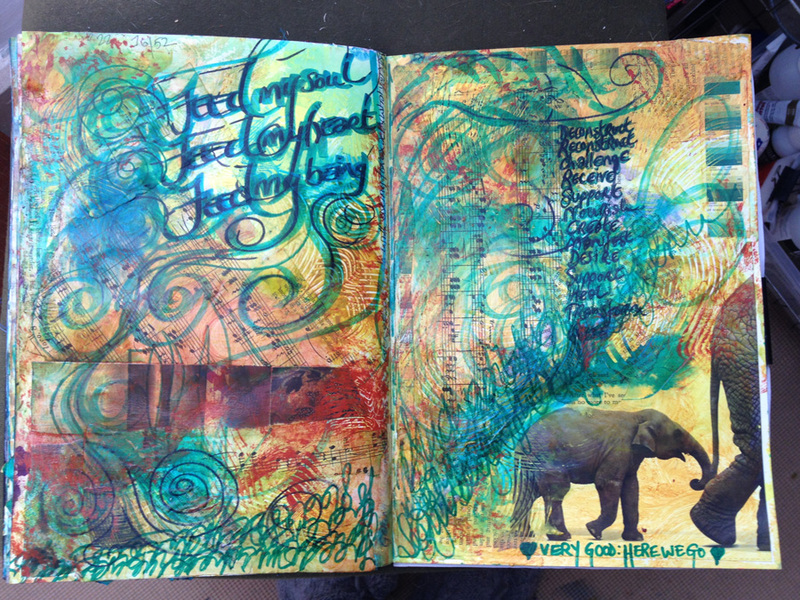 I’ve found a Feeding Fascination: Feed My Soul ~ Feed My Heart ~ Feed My Being. I’m so nourished by my art, and as of this week I’m also on a literal nourishment adventure too, I’m on a keto kick. I’m gonna give it a month and see how it pans out – day 5 is too soon to comment! – so watch this space. 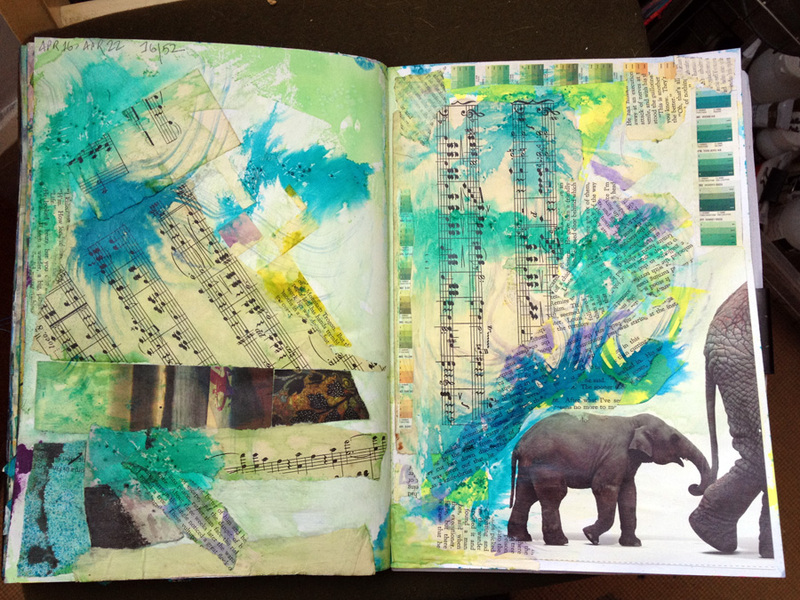 Posted on Wednesday, April 22nd, 2015 5:37 pm Friday, April 24th, 2015 1:57 pm by MixyPosted in week by week 2015Tagged art materials, collage, elephants, ingredients, mixed media, recycle, weekly art journal.